Many of the homes being constructed today are furnished with insulated attics, but many older homes do not have attic insulation. There are a number of reasons why you should consider hiring an insulation contractor to install attic insulation in your home, and we’ll explore several of the most common reasons in today’s blog. 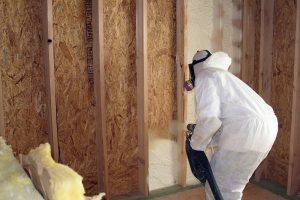 Insulation Pros of Colorado is proud to provide Denver and the Front Range with unparalleled insulation installations. If you’re interested in learning more about how insulating your attic could benefit your home, contact our Top Rated Local® insulation contractors today! As Colorado residents, we know just how cold the winters in Colorado can be. If you’re like most homeowners, you probably turn the heat up in the evenings when the temperatures begin to drop. It’s important to maintain a comfortable temperature in your home, and ensuring that you’re maximizing your home’s ability to retain heat is the best way to keep your home warm and welcoming through the winter. You’ve probably heard the saying, “hot air rises,” and it’s true – the warm air from your HVAC system will rise to the top of your home, and if your attic isn’t insulated, the majority of your warm air may be escaping into the outside environment. You may experience the same problem in the summer when you’re attempting to fill your home with cool, refreshing air. Attic insulation will help your home’s temperature stay even and comfortable throughout the year, and you’ll be surprised how much of an impact this has on your monthly energy bills. Home insulation experts unanimously agree that the attic is the first area of the home to invest in for maximum energy efficiency, and you’ll likely get a substantial return on your investment. The average homeowner can expect to save 30 to 50 percent on their energy bill if their attic has no insulation at all. Many homeowners are happy to learn that attic insulation makes their homes not just cost-effective, but also more eco-friendly. This makes sense when you consider that you’ll be running your HVAC system less after insulating your attic, but the point that you’ll be reducing your carbon footprint by insulating your attic is worth stating explicitly. If you’ve ever had trouble sleeping because of noises from the outside environment, or if you worry that your music, animals, or conversations may be intruding into your neighbors’ homes, attic insulation might be the perfect solution for you. Attic insulation provides a wonderful soundproofing effect that might be just what you need to get a good night’s sleep and to prevent your neighbors from becoming annoyed by your favorite television shows! As a Colorado homeowner, you’re probably familiar with the damage that a burst pipe can do to your home. Frozen water takes up more space than liquid water, and the expansion of frozen water can cause the pipes in your home to burst. Even if the majority of your heated air is escaping through your attic, it may not be staying in your home long enough to protect your pipes. Insulating your attic is one of the best ways to ensure that the pipes in your home, especially those that are near or in the attic, don’t freeze and cause a substantial amount of damage to your home. Colorado winters are notorious for creating dry conditions, but the spring and summer can create the perfect conditions for water vapor to enter your home through the attic. Rain storms and humid conditions can leak through the roof into your attic, putting your home at risk of water damage and mold. Any belongings you have stored in your attic may be compromised by the moisture in your attic, and you certainly don’t want old photographs or mementos to be ruined when you take them out of storage. Attic insulation acts as a barrier between the moisture from the environment and your home, keeping your attic free of water damage. If your attic is currently a cold and unused space in your home, you’re losing opportunities to turn that space into something useful. Attic insulation is often the first step many homeowners take toward turning their attics into extra bedrooms, art studios, or a fun area for their children. We hope that this post will help you determine if attic insulation is right for your home. 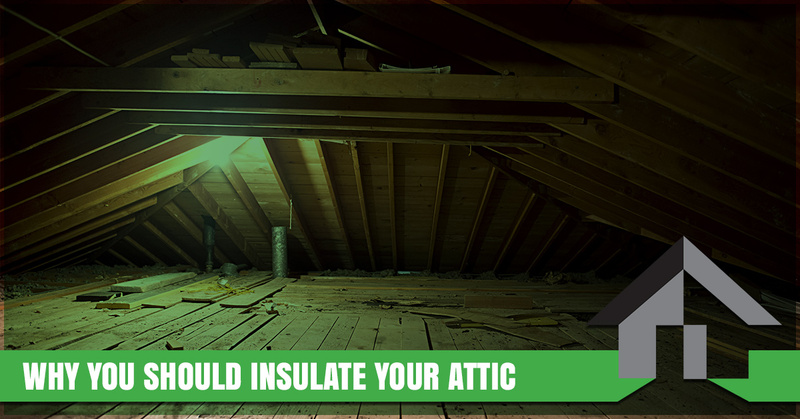 Whether you plan to remain in your home for the foreseeable future, or you’re thinking of selling your home soon, an insulated attic will add a considerable amount of value to your home. If you’re interested in learning more about attic insulation, or if you’d like to learn more about our Top Rated Local® insulation services, get in touch with our insulation contractors to schedule a free inspection and estimate today!